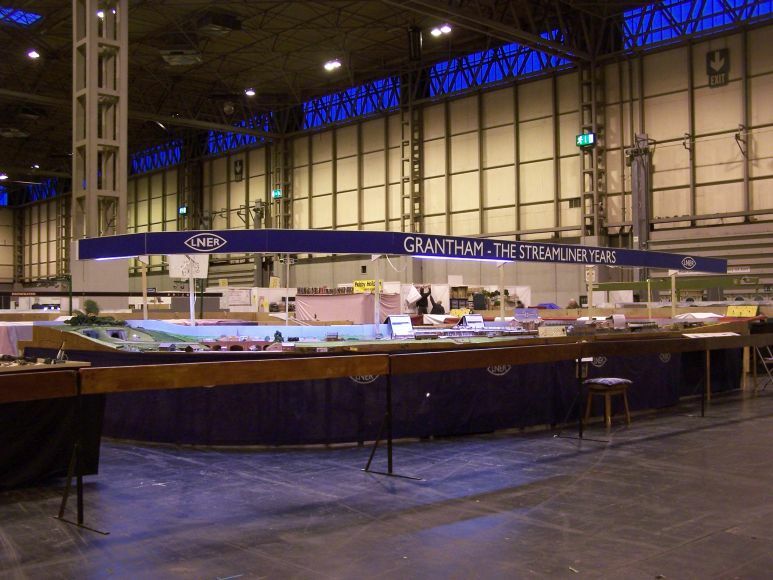 "Grantham - The Streamliner Years"
Re: "Grantham - The Streamliner Years"
Just can't wait to see it again, actually. 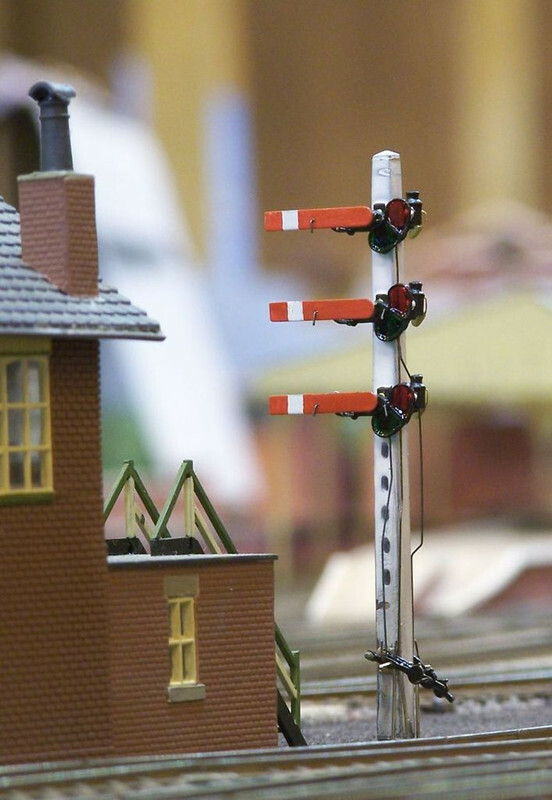 I fell in love with 'Grantham' when you were still only showing segments, and the single thing that made it sing to me back then was that first amazing bracket signal ... and now there will be more! Sorry, as a relative 'newby' I can't get the hang of this Board yet and how you edit a post you've made. What I meant to say was "... the single thing that made it sing to me more than any other ..."
Sorry if I gave the wrong impression - it's pretty much all great to me! Good luck for the weekend. 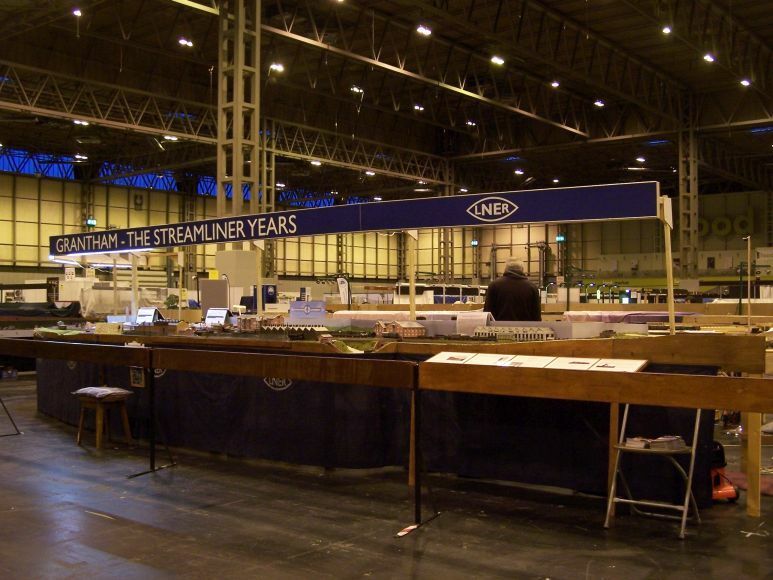 Spent the morning at the NEC today - Grantham's like a fine wine that gets better every year. All the hard work pays off. The crowds and general hubbub are a distraction - I imagine watching operations without all that must capture the atmosphere even more. I will post the few photographs I managed in due course, but if anyone has any they'd like to post here or send me (PM for an email address) for the collection, we'd be very grateful. As promised, my photos from this past weekend. I confess to not being entirely across what's been added scenically since Woking as we haven't had a full running session and the chance to look it over or have a guided tour, but hopefully 4479 will correct anything I miss/misdescribe. A couple of overall views to start with. This is the first time we've had Tom Palmar's pelmet complete and in use and it really helps frame the layout. The LED lighting strips are also very effective. 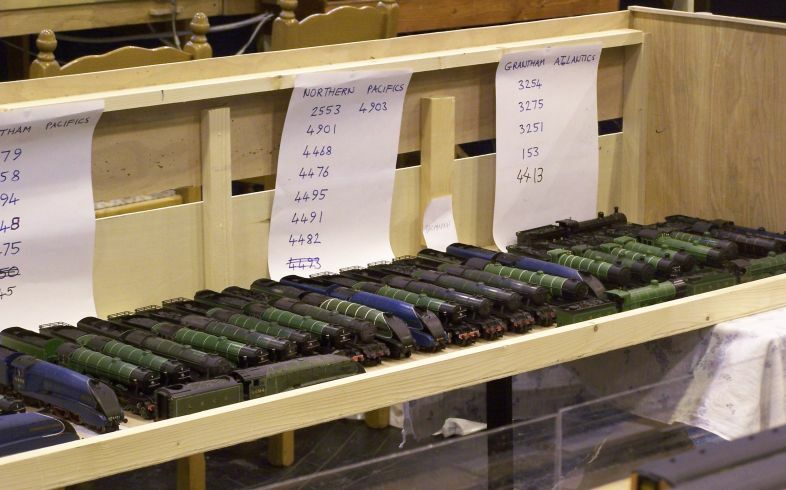 Loco storage before we started. One thing we're seldom short of is top link motive power, even without the P2 holding area slightly out of shot to the left. 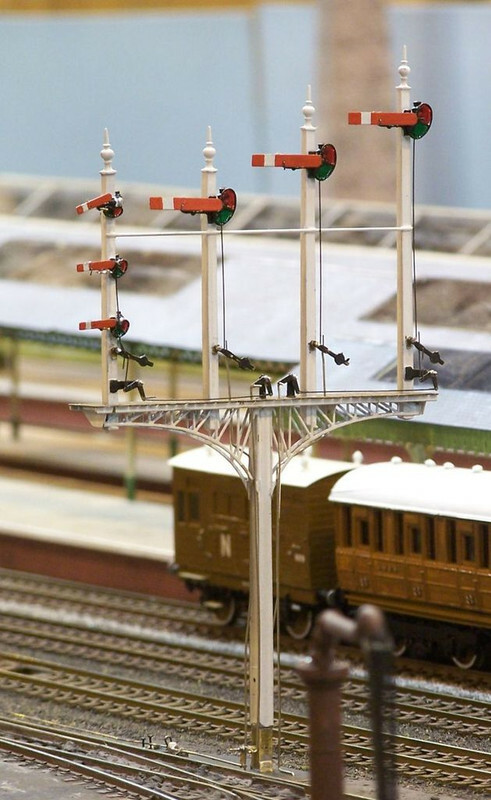 Construction of the new signals have been illustrated on RMWeb, but they were in operation for the first time. Replacing the plain card mockups of the station buildings has been the main effort. This is the view over the turntable to Platform 5. At the end of Platform 5 are two new buildings. The one on the right contained the oil store and the footwarmers, together with something I've forgotten. 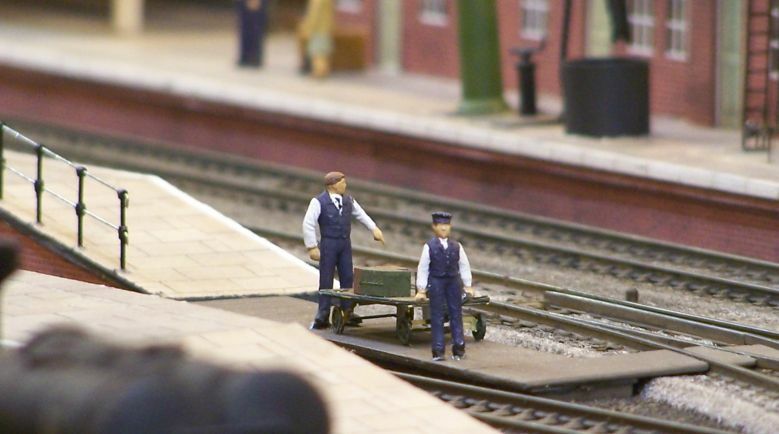 A barrow crossing and porters have been added at the south end. When the Official Photographer next visits, we're hoping to recreate the famous incident with Percy and the scarf. 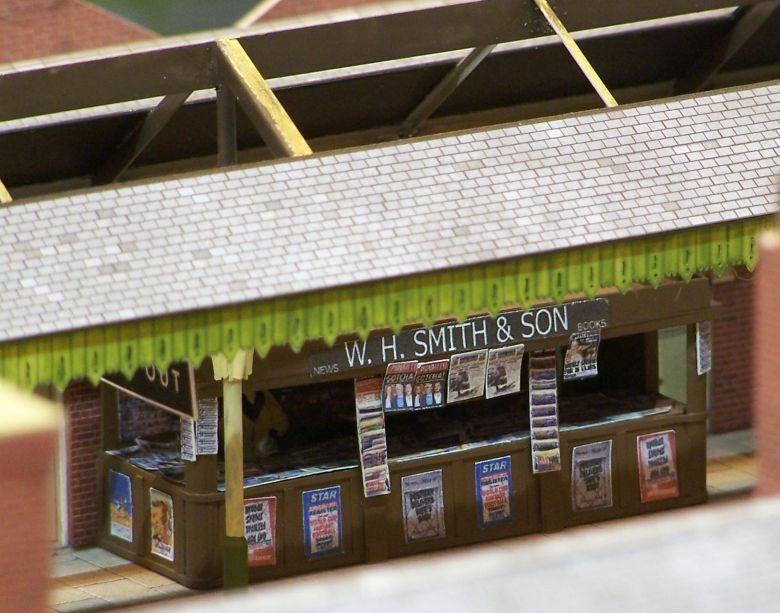 Further back up the far platform, a new canopy and signage as well as buildings. Together with the obligatory bookseller. 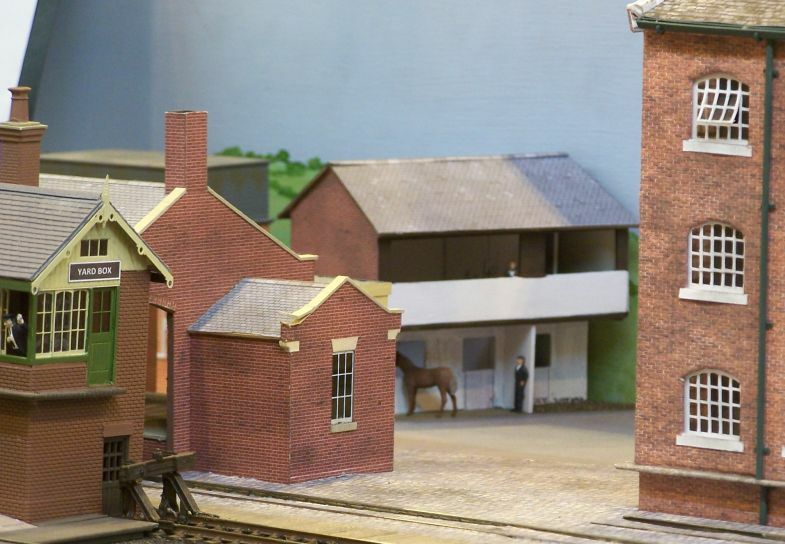 Tucked right away in the back corner, stables for the shunting horses. Last edited by jwealleans on Thu Nov 29, 2018 4:15 pm, edited 2 times in total. 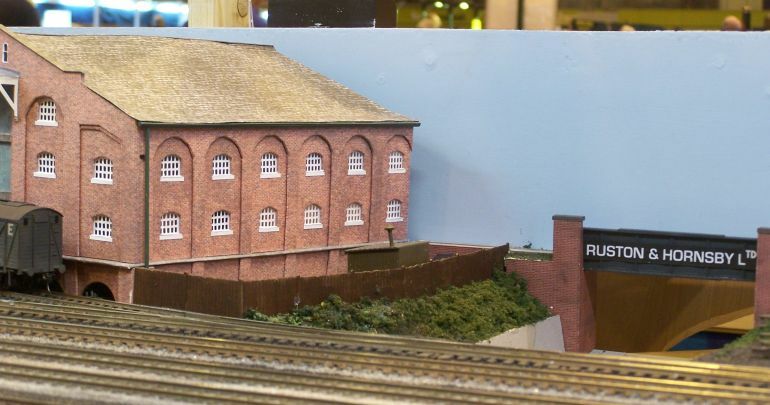 The layout looks fantastic Mr Wealleans. Great to have met you and to see Graeme and Graham again over the weekend! Great views for those of us afar - thanks Jonathon. 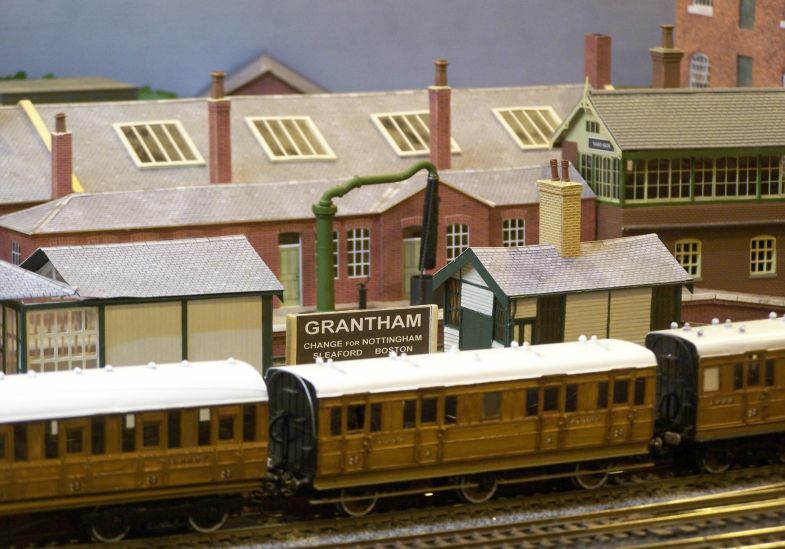 There have been a raft of YouTube videos after Warley - here are the ones featuring Grantham. Some are only a few seconds, be warned. Quite brief, starts at 5:54. Many thanks for the links. It was nice to see the down Coronation in the first one, because I've never managed to see that before. In the last one there is machinery wagon loaded with some kind of steam road engine outside the Ruston and Hornsby factory. Do you happen to remember anything about the model or the prototype? Best address that one to Mr. King, I believe it's his. Lowmacs and crated loads (the factory was producing heavy oil engines by the late 1930s are still on my 'to do' list. Edit - remiss of me not to mention that the third clip above, starting at 7:18, shows David's J54 to good advantage. The Mac in question is an Airfix/Dapol kit-built Lowmac masquerading as the almost identical ex-GE Mac K. The road locomotive is a Fowler 8HP "Atlas" in Norman E. Box livery from Oxford Diecast, in this particular case relieved of its canopy and chimney in order to clear the loading gauge. 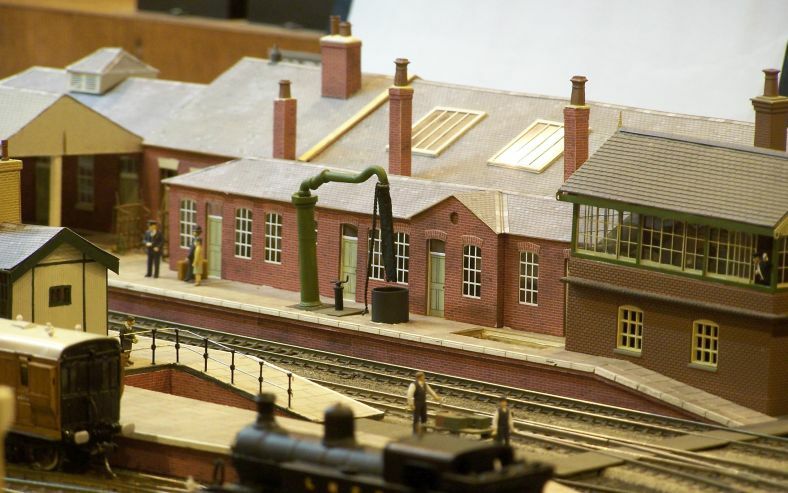 The chimney lies in the open cab and the canopy is assumed to be travelling in an accompanying wagon or van. There's another Mac K somewhere in the goods yard at most times too, a proper D & S example loaded with a reaper-binder. Not a genuine Ruston product in sight - so far. Visible at the end-loading dock in Video 1 as the Coronation passes. Still (or back) there the next day in video 2. Superb in every way. A very inviting booth appearance, too, with the blue colour, the Gill Sans lettering, and the LNER logo. Thanks also for the videos, as it's doubtful I'll ever get to see this layout 'in the flesh'.